Welcome to Kizomba Seattle! This is where you will find information about events, classes and other things Kizomba in the Seattle dance community. We also have a facebook page where you will be able to connect locally to other kizomba dancers and to other pockets of Kizomba dance enthusiasts in the US and around the world. Explore the site and don't forget to join our Kizomba Seattle group on facebook. "An embrace means I don't feel threatened by you, I'm not afraid to be this close, I can relax, feel at home, feel protected and in the presence of someone who understands me. It is said that each time we embrace someone warmly, we gain an extra day of life." A quote from Paul Coelho (one of my favorite authors) that describes for me what dancing kizomba is like. Visiting Seattle for the first time, Vasco will be coming to share his energy and love for Kizomba and Semba from November 7 - 9, 2014. We will be kicking off the weekend with First Friday Kizomba at West Hall in the Century Ballroom. Join us for two days of workshops and three nights of dancing! Let's welcome and get to know this wonderful dancer and instructor from Paris. Update as of 10-28-14: There will not be a dance on Sunday evening. Watch out for possible potluck somewhere. There is still room for more people. Vasco is available for privates. His rate is $110 an hour for one person and $160 an hour for a couple. There is a separate for studio rental fee as needed ($5 - $10). Please email kizombaseattle@gmail.com for scheduling. 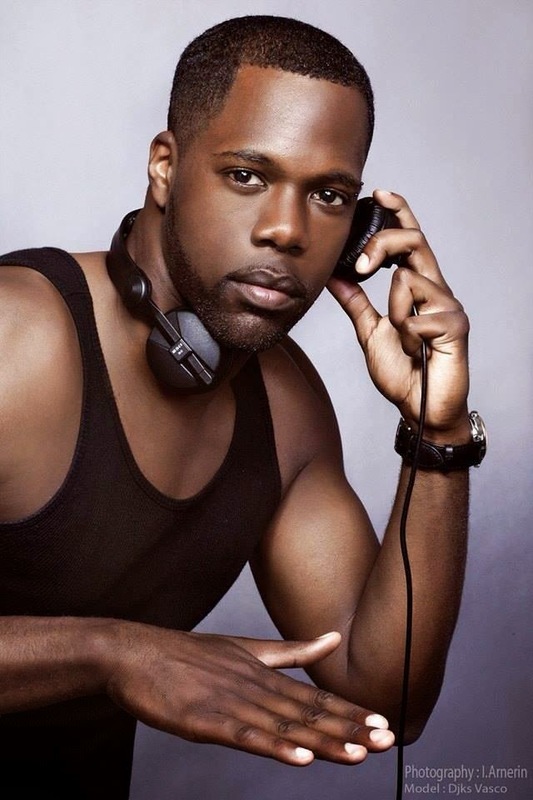 Djks Vasco is a Kizomba/Semba dancer, instructor and deejay. He was also Africadançar’s Champion in France in 2011 and a finalist in 2012 at Lisbon’s Africadancar contest. Being of Guadeloupan origin, Vasco appreciate the music and dance of Kizomba and Semba and believes an excellent dancer carries sensuality, sweetness, precision, efficiency and especially sharing sensations. Through his dancing and instruction, Vasco has traveled internationally to countries such as Switzerland, Belgium, France, England, USA, Canada, Portugal and Brazil. Its August first AND a First Friday Kizomba Night. DJ Guelas will be in the house!!! What a great way to start August. Its summer in full force here in Seattle and the weekend starts with an awesome party. Then on Saturday August 2, I'll be teaching Kizomba at the Olympia Dance Convergence and on Sunday August 3, I'll be teaching a Semba Workshop with Tien-Ju Yu. In the meantime, I wanted to share a recap of July. July was the second month with a record number of event for our growing Kizomba community. Since June, we've had a burst of regular events that now allow options for dancing at least once a week. We've even had the rare occurrence of a choice between two events in one night (much thanks to the people that came to both events show their support). The highlight for July tho was a visit from Petchu and Vanessa coupled with the 5 year celebration of Kizomba Seattle. I met Mestre Petchu on my first trip out of Seattle in search of Kizomba teachers to help me learn more about the dance. I had already been learning and practicing the dance with a small group and was ready for more. Ana had gotten us off to a great start but I needed to find out more: to learn enough to be able to teach and share it so I could have more people to dance with. I also discovered that it was Mestre Petchu who also inspired Ana to spread her knowledge and love for kizomba. It is very appropriate then that the timing of his and Vanessa's visit coincided. We have had the pleasure of hosting so many wonderful instructors here in Seattle and each one had enriched and enhanced our community in their own way. With Petchu and Vanessa we were able to share in their joy and love for the dance from its roots all the way up to the present. I've danced African Tribal dances in the past but this time, experiencing it with and through Petchu and Vanessa, I am struck by the playfulness, sense of abandon and spirit embodied in the dance. Vanessa spoke and encouraged us to just dance for ourselves and I think that is sometimes lost in our interaction with our partners when it comes to social dancing. When I watched Vanessa and Petchu dance, I saw joy, I saw humility and thanks and I saw a celebration with all of us that were there to dance. Sure, some of us were tired and unsure in our movements but as the dancing went on, I could see people loosen up as well. Mestre Petchu and Vanessa shared their surprise and gratitude at the spirit and sense of community they found here in Seattle. They were touched to tears. I know that in reality our busy lives have a way of taking over and it may be a while before Vanessa and Petchu come back to visit but I will share for sure that as a community we have definitely touched their hearts. Thanks again to everyone that came to share in the weekend. On a personal note, I am touched by the thanks that was shown with the huge card that Neph and a few others orchestrated for me. Yes, some of you brought me to tears when I read what was written. I cannot say enough about the few people that showed their support for me in the early stages of growing kizomba in Seattle. Including Ana, Dennis and Jay, there are so many of you that have been there from the beginning. Alison and Hallie allowed us a home; a place to teach and a place to have a dance when our numbers were so small. I still remember when our First Friday socials had less than 20 people dancing and I was sooo happy to see every single person there. Thank you all again: I've been able to do all these things because the support from the early believers and because of everyone that now shares in the love for this dance and this community. The weekend touched us all in different ways and I have the pleasure of being here to see some of its lasting effects. I'm looking forward to seeing what's in store. I know we'll have some growing pains (what family doesn't?) and I know that in the spirit of what this dance can bring out in us, we'll be able to work through them to keep the beauty and spirit of this community alive. HUGS, Multo Obrigado, Champagne for all of you! Fixe?